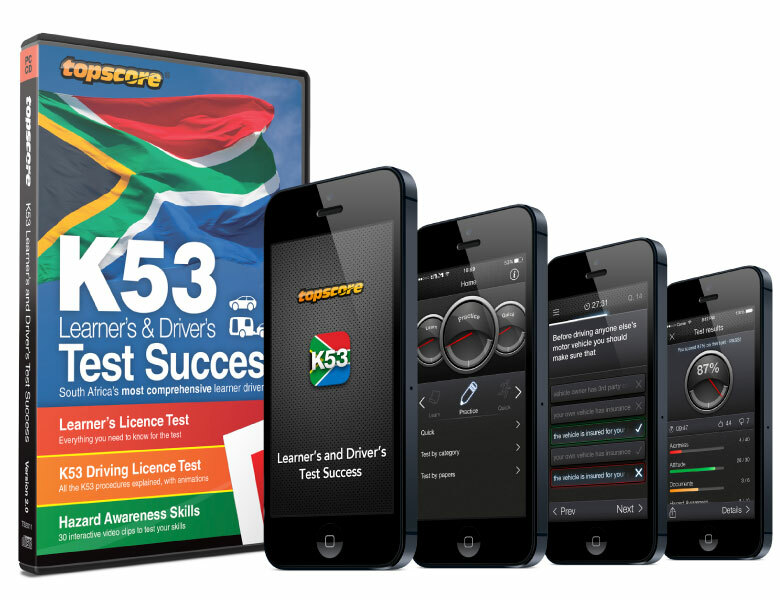 Learner drivers in South Africa can prepare for their Learner's and Driver's tests using the product "K53 Test Success". This product is published by Topscore CC in PC CD ROM and download format in South Africa, and more recently has been made available by Imagitech as an app for mobile devices running Android and iOS. The underlying technology is based on Imagitech Fast Track® as developed by Imagitech. The content is an amalgamation of training material provided by local specialists, and Imagitech's in-house expertise. It is unrivalled in its breadth and depth. "This is by far the BEST app that I have ever come across. It is simple to use, understandable, with amazing features. I know this because I've searched all over before I found it. It has everything you need."